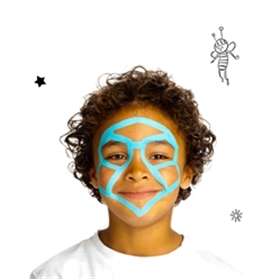 Using a Turquoise face painting stick, draw the shape of the mask, adding the inner lines as shown. 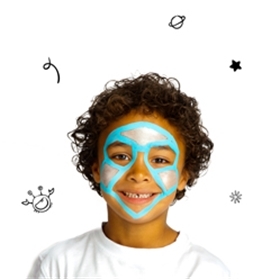 Using a SILVER face painting stick, fill in the area on the forehead and the 2 cheeks. 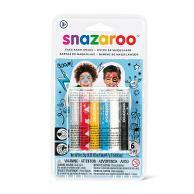 Using a BLACK face painting stick, draw 3 dots down the centre of the forehead area and a line of 3 dots at the tops of each cheek area. 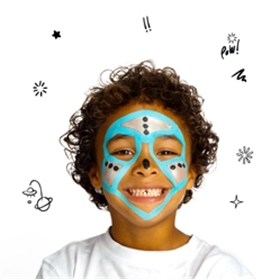 Add a small vertical line on the end of the nose.